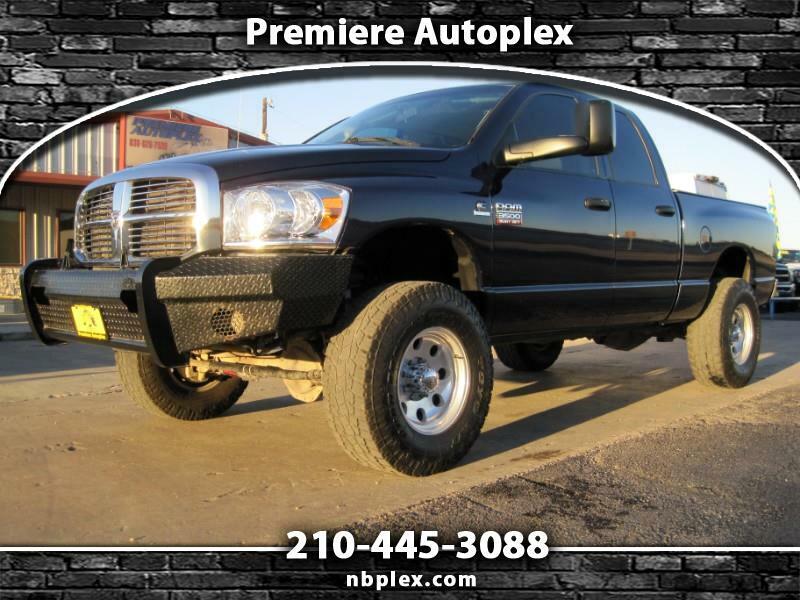 2009 Dodge Ram 3500 (Like the 2500 Short Bed) Quad Cab, 4x4, Bighorn Pkg, SWB (Short Bed), 6.7L Cummins Turbo Diesel with the hard to find 6 Speed Manual Transmission, Lifted, Alloy Wheels, 35" Toyo R/T All Terrains, New shocks and steering stabilizer, Replacement Bull Bar Bumper, Led tail lights, Power Windows, Power Locks, and Tow Haul Mirrors, Tow pkg with brake controller, Tilt/Cruise. Nice, Clean Dodge Short Bed with 169k Miles !! Message: Thought you might be interested in this 2009 Dodge Ram 3500.